Let’s Do Away With ‘Secret Santa’! Earlier this week we pulled names for the Secret Santa party next week at work. I, for one, can’t stand this archaic ritual but complied anyway as a “team player”. The gift giving limit is $20 and all gifts will be exchanged next week before Christmas. 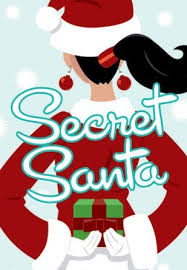 The problem I have with this whole ‘Secret Santa’ business is that it just seems so contrived. What’s the point anyway? Why should we be forced to give gifts to people we barely know? And furthermore, why should we have to pay for it out of our own pocket when the company is “forcing” us to participate? What if I don’t know the person whose name I pulled? Or worse yet, what if I don’t like them? I am not best friends with everyone I work with. There are some people I’m not particularly fond of & I don’t like the idea that I now have to buy them a present just because it’s Christmas. What about the people I don’t know too well? Am I supposed to just guess at getting them a gift? Sure, everyone likes gift cards but what type of gift card should I get? There are just too many options for someone I don’t even know. 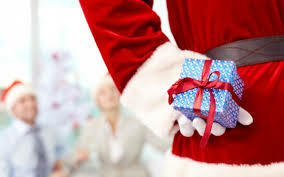 Gift giving is supposed to be from the heart not from a corporate mandate. What if I don’t celebrate Christmas? Not everyone believes in ole Jolly St. Nicholas in which case why should they be heavily encouraged to participate. It’s awkward enough to have to announce your religious beliefs at work let alone defend why you choose not to participate in a seemingly fun holiday office party. Or maybe it’s not even about religion. I may have personal reasons not to celebrate this time of year. Perhaps I’ve lost a loved one, am away from my family during the holidays or just don’t care about Christmas at all. I should not be forced into showing any holiday cheer. Wasting time having a party during work hours, but the work still needs to get done. Even if I end up having fun with this whole little ‘Secret Santa’ thing, I’m still responsible for getting my work done once the party is over. Exchanging presents, eating & mingling takes up precious work time and I don’t want to feel stressed over all the work I’ll be left to do once this involuntary party is over. You Want Your Daughter to Wait For Marriage, But You Won’t Wait For Me?